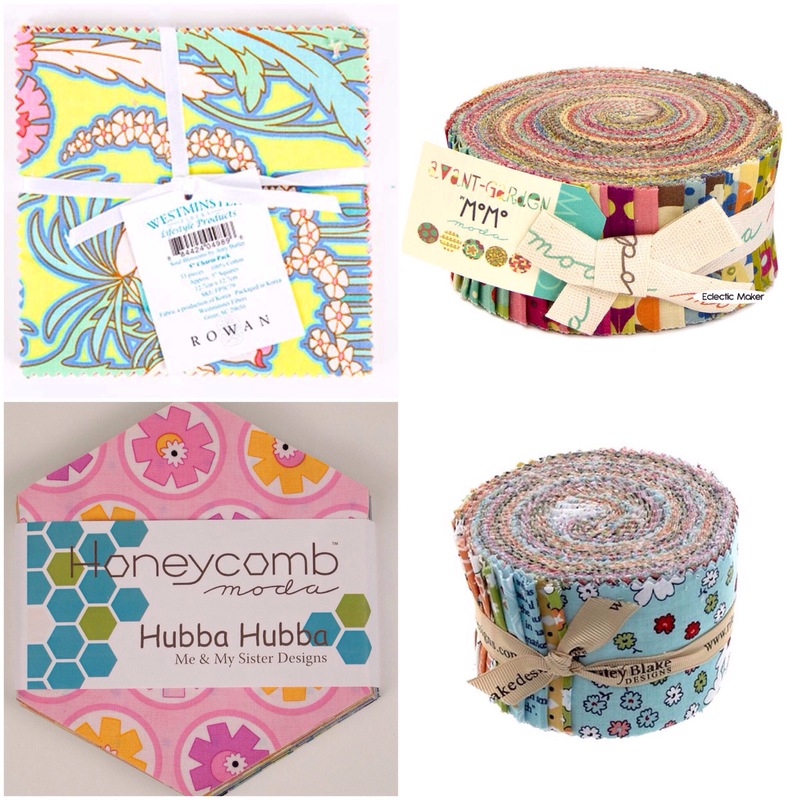 We have some gorgeous fat quarter packs in a huge range of fabrics, colour coordinated and ready for you to make into quilts etc. 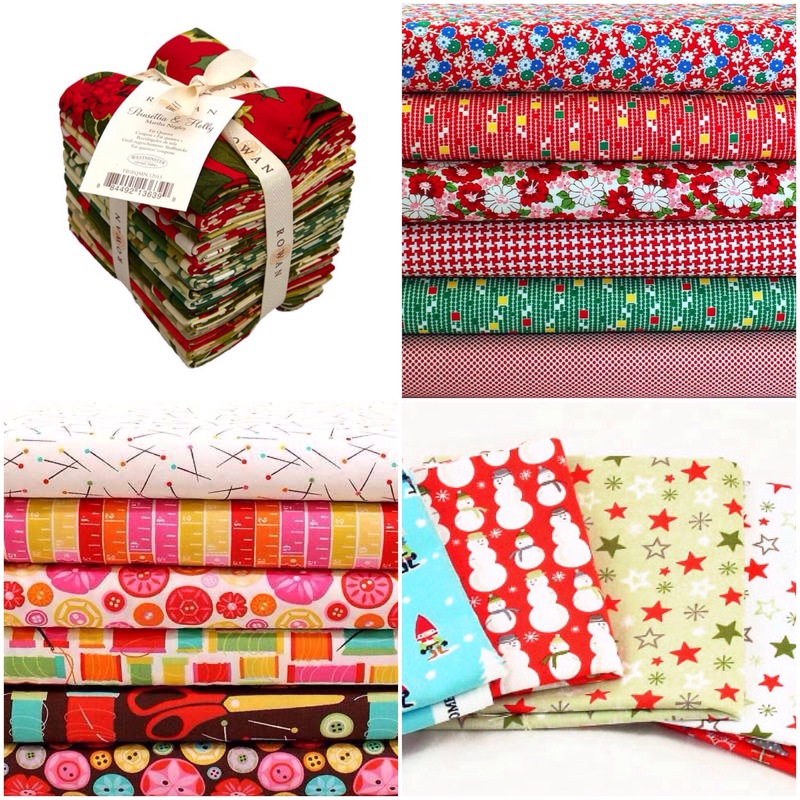 We also have some fab Christmas fabrics which are great for making stockings, pyjamas and decorations. 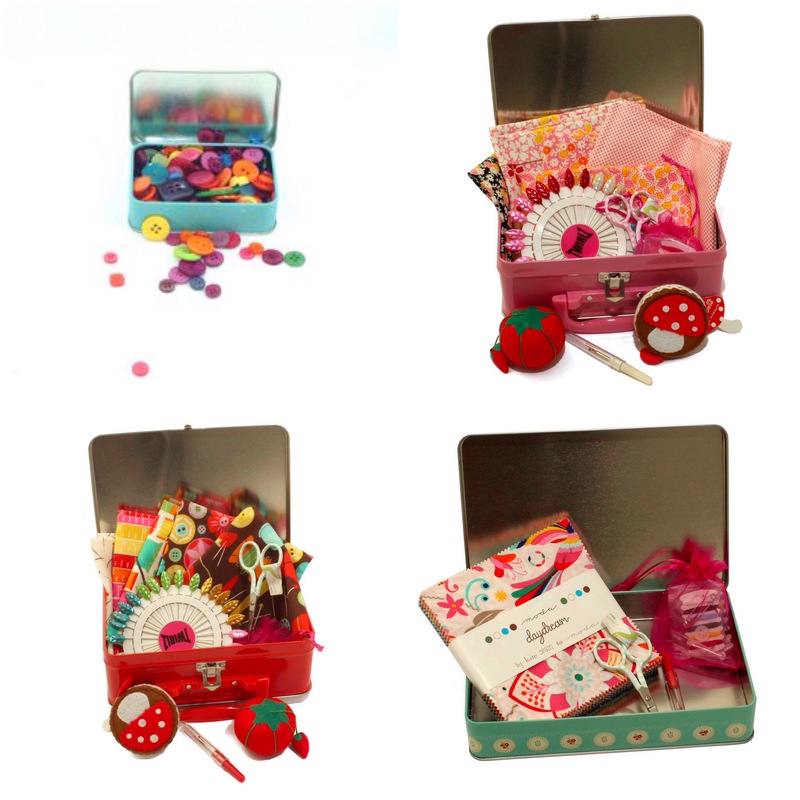 We also have a selection of jelly rolls, charm packs, sewing accessories and buttons, some of which we have put together in pretty tins and bags so that they can be given as gifts. 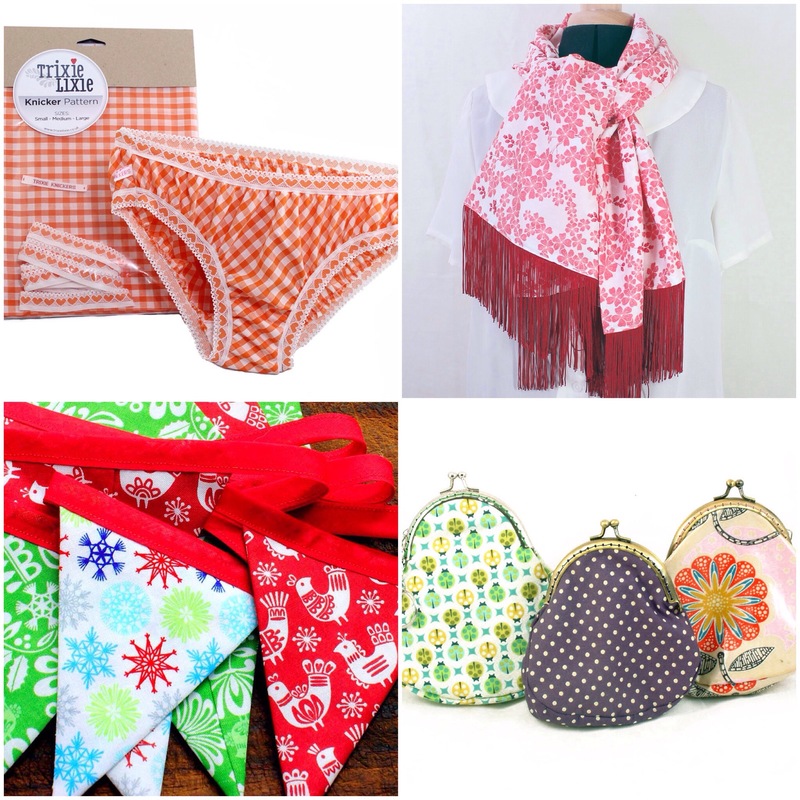 And we also have a great selection of sewing kits that you can use to make gifts for your friends and family, why not try making a gorgeous pair of knickers, a scarf or a purse. If you don’t have time to make up the kit yourself you can just give the kit as the gift. 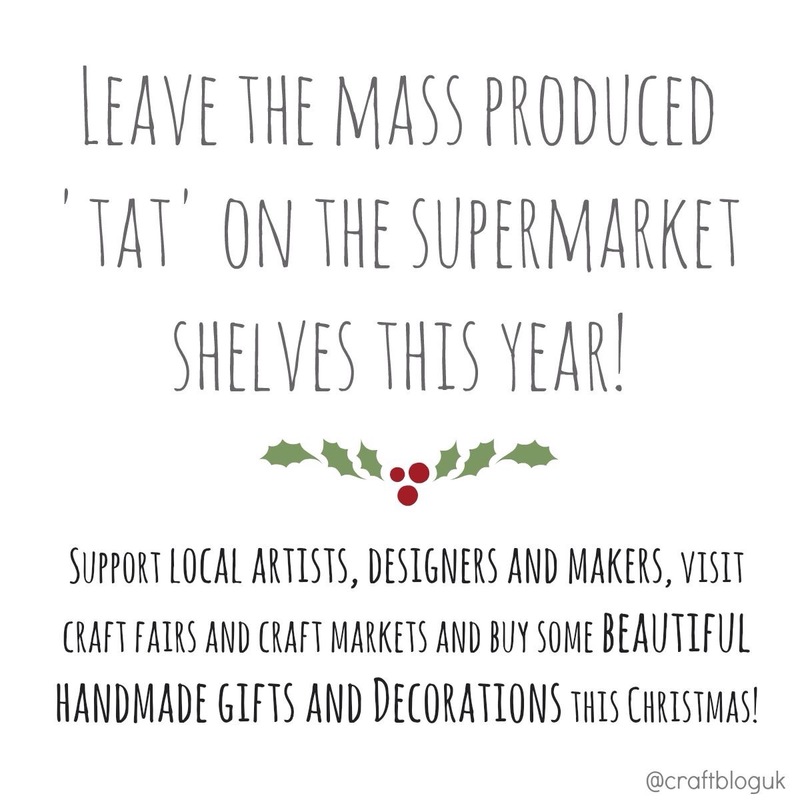 I hope this will give everybody a bit of inspiration for Christmas, I love to give handmade gifts and if I can’t make them all myself I do like to buy handmade whenever I can. This entry was posted in Crafty Christmas, Gifts to make and tagged christmas, gifts, handmade by Trixie Lixie. Bookmark the permalink.